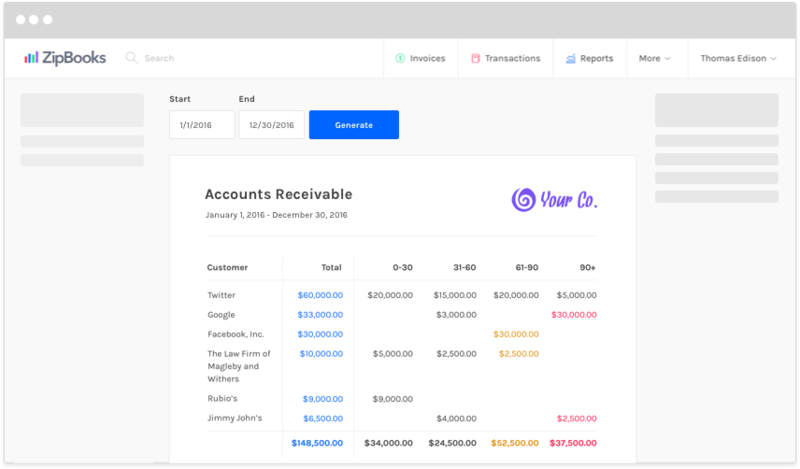 ZipBooks keeps track of your accounts receivable history and gives you smart feedback on which accounts are owing within a reasonable time frame, and which you should probably be a little more worried about. View a list of customers that have the tendency to pay later than is acceptable, so you can set up additional payment reminders in the future. Or create a snapshot of general payment trends during a year, so you can budget according to possible lean-cash-flow months.